Sometimes back in 1990, the Jamis Bicycles company was inherited by one Carine Joannou following the demise of her father in 1981. Since then, the US has been used as the biggest designer and distributor for these bikes. China and Taiwan remain as the leading manufacturers for these products since they are well equipped with resources and manpower. They marked their 20th anniversary just recently in 2009. Now, it’s been more than 30 years since they came up with magnificent designs. 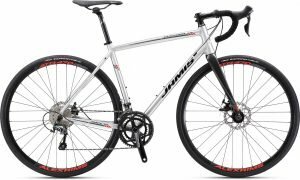 Let’s cover all the aspects on this Jamis bikes review, what you need to know before buying one. Most Jamis riders simply want something that turns their day into an adventure riding experience. This comes as no surprise because it is believed that riding mountain bikes through rough terrains is one of the most difficult experience for any rider. They have tailored their rates affordable, ranging between $800 and $1,000. In fact, the company received various awards for the best value full suspension bikes by a famous bike’s magazine between the years; 2001 and 2005. Back then a Jamis Coda road bike only cost you $400. Today, the company’s price is inclusive of assembly, water bottle and 6 months warranty. It is made of steel to provide extra stability and comfort for the user. Jamis Bikes Company thrives on producing the highest quality parts and other cycling accessories. It has continued to produce road, mountain, single speed and triathlon bikes. Their technical experts also offer seasonal tune ups and repair services to guarantee top performance. An increase in prices has been caused by scarcity of resources. All the same, people still can’t get enough of these state-of-art gadgets. Now that the US is the main designer and distributor for these bikes, it has established its headquarters in Florida. Earth and beach cruiser were the first types of bikes introduced in 1979. Designers discovered that double frames enabled the cyclist to penetrate different terrains easily. This led to the formation of the Boss explorer in 1981. By 1983, they had already introduced new and better designs such as Dakota, Jamis light foot and Jamis Roughneck. In 1988, other road bikes bearing the names; Eclipse and Quest were launched. By then, many users were complaining backache problems. A solution had to be found. That is when they introduced an upright seat bike known as Coda and Tangier. Other models introduced by 1993 include; Dragon mountain bikes, Rock Shox front suspension and XTR drive train. 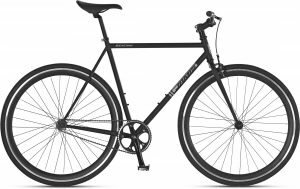 Just recently, the company has managed to create more versatile bikes to meet the modern cycler’s expectations. They feature a carefully designed frame and fork design that enables you to get a firm grip and remain comfortable at the same time. It will enable you to enjoy a riding experience on smooth roads and rugged terrains in the wilderness. It is made of stainless steel and aluminum that can accommodate any weight distribution. 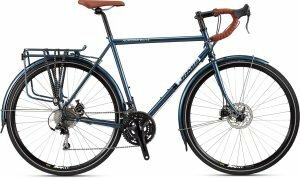 Jamis Aurora Elite – Touring Bicycle that is designed to meet all your needs. Jamis has specialized in creating special superbikes that enable professional cyclists to compete in races and mountain bike tournaments. They have gathered enough resources to create kids’ bikes, flat bar road bikes, mountain bikes and lightweight cruisers. The Jamis Coda is a special road bike is only valued at $400. 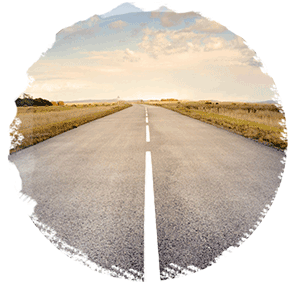 It can be used on rough roads thanks to steel frames that enable stability for the user. The bike comes with a complete set of accessories ranging from drinking bottles, cycling suit, helmets, trainers and protective gears. Others include; Dragon XLT, Dakar, Xenith T-Series, Eclipse and Quest cruisers. Jamis sponsors the Silber Pro Cycling team. It has signed a two year deal with a leading Canadian Continental Team. Most recently, it donated ten mountain bikes to the New Jersey Interscholastic Cycling League (NJICL). Both teams have displayed exemplary performances in major international tournaments. The company has also had the privilege of working with some famous cyclists. Jamis is one of the leading bike companies around and this is evident by the many positive comments from their consumers. The company prides itself in providing bikes that offer comfort and performance as well as a great customer service. 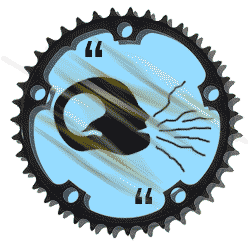 Here are some comments from two ardent customers we found out of many Jamis bike reviews. Due liability and safety concerns, Jamis products are available to be bought from authorized dealers. All their bikes come with a warranty and their technical experts have no problem replacing your cracked frame with a new one. It is cheaper to assemble your bike by yourself if you have the required skill. If this is not possible, rush it to your neighborhood bike shop for some quick tuning by the professional; however, you must put in mind that this comes at a small fee. Another option is to order a completely assembled bike from Amazon. Jamis MTBs posses lightweight alloy axle and reduce fork leg weight for easier steering and handling. Their stainless steel frames are quite durable. Examples of Jamis MTBs include; Enduro, Trail, MP4 suspension, asymmetric chainstays, XC Sport, Femme MTB and XC Performance. They can be used for sports, kids, cross country races and police patrols. Jamis Enduro is one of the most timely mountain bike of all times. It is valued at $3,799 excluding the shipping costs. Its formation was inspired by both car rallies and motorbike races. Today, it is referred to as “All mountain” since it involves riding on top of the mountain and racing downhill. Jamis road bikes are made of state-of-art features that enable a professional cycler to maximize on his experience. The new redesigned Xenith has been nominated several times under the most efficient road bike of all times category. Designers had to begin creating it from scratch. It involved recreating an entirely new frame and fork design to come up with a lightweight and stiff road bike. The series can be found under the brand names; Xenith SL, Xenith Pro, Xenith Race and Xenith Comp. The Jamis Laser 1.6 2017 is one of the leading kids’ road bikes. Valued at only $145, it contains features that are easy to use for a kid. It is regarded as the best option if you are looking to train your child to be a professional cycler.